Email marketing campaigns are highly effective in both managing and growing your audience. We are easily able to create email marketing campaigns, using email design that is flexible and varied. 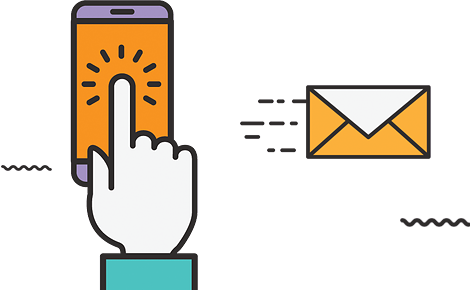 Email and push messages, custom templates, and goals & metrics are just some of the email marketing options at your brand’s disposal. We can use many proven techniques in order to increase sales through email marketing, including automated life cycle campaigns, and tracking your success. An email marketing campaign can reach a large yet specific audience instantly. As this is delivered through email, it can be tailored down to the most specific detail. The standard of service we give is truly unrivalled within the industry. Don’t believe us? Read on and prepare to be convinced once and for all! We can provide your brand with a genuinely bespoke email marketing strategy, crafted to fit your needs and target audience or sector. Sending your emails isn’t the end of the journey - we stick with you to make sure you’re kept up to date on the success of the campaign, using various tracking & reporting techniques. Due to our in-house skillset related to graphic design and HTML coding, your email template design will always be engaging. As a result of the aforementioned benefits and more, our email marketing campaigns are second to none.